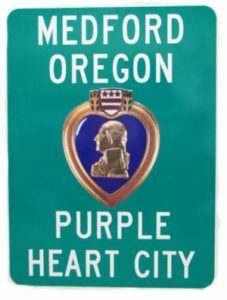 Traveling through Oregon this past summer, I noticed several “Purple Heart City” signs. I wondered what that meant. What makes a city a “Purple Heart City”? Is the mayor or other town resident a Purple Heart recipient? Does the town’s population have a larger than average percentage of veterans? Being the research nerd that I am, I had to look it up. And since you’ve probably driven through a Purple Heart City in your RV travels, I thought you might like to know what I learned! Come to find out It seems the only requirement for a city to become a Purple Heart City is gratitude. In that same article, “Bircher explained that the typical Purple Heart City process involves the mayor and/or city council performing a proclamation, which then is presented to the local chapter of the Military Order of the Purple Heart. In turn, the organization arranges as many Purple Heart recipients to attend the ceremony. The military order also provides the city a plaque commemorating the occasion, a Purple Heart flag the city can fly, particularly for National Purple Heart Day on Aug. 7, and “proud supporter” pins for everyone attending the ceremony.” (Source: The Mail Tribune, “No Requirements for ‘Purple Heart City’ Expression of Gratitude”, 8/15/15). There are over 900 Purple Heart locations in the United States, honoring the 1.6 million Purple Heart recipients. So chances are you’ve driven through a few yourself! There you have it; another RV Life mystery solved! What fun RV Life questions would you like to see covered in this series? Let me know and I may choose your idea to research and write about! I don’t know if you covered this already but how did you choose a mail forwarding and home state? And what was your criteria for them? Those are always important for just starting out. For now I am staying a california resident and use a UPS store as my mail box and forwarder. Will post a blog I wrote about this soon. I am interested in doing the very same thing Carolyn because I want to stay a resident of Tennessee when I go full time in the spring. My plan was to get a UPS mailbox and address. I ran into a couple who full-time here in Tennessee this past summer and that’s what they do to keep their Tennessee residency. Hoping that will be sufficient. That’s what I did – we’ll see! good luck to you! Oh.. and what is a realistic budget for living in an rv? Just the basics but to include everything to make the live doable and a minimal comfort level. Steve, it really depends on how much you want to travel and what your personal expenses are. I’;d have to sit down and figure out what I spend. I’ll do a video and blog post on that soon. Thanks! Thank you very much Ian for being a part of my adventure. Merry xmas to you as well! 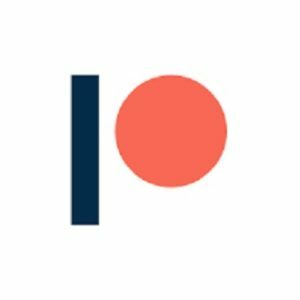 I just found your videos, (and then blog!) yesterday on youtube, while surfing. I’m 55, and used to be very active with animal care, biking, hiking, skiing, sailing, swimming, beach-glassing, gardening, and well, driving til the road comes to an end every chance I got! Wwe just returned from 2 weeks in Yosemite NP, although there wasn’t much I could do besides shotgun sightseeing. I’ve always kept the RV lifestyle in the back of my mind for retirement; thank you for giving me some hopes and dreams back while I try not to lose my mind, my perspective, and my sense of humor. Keep driving girl, til the road don’t go no mo’! Christi, I’m sorry to hear about your injury. Good luck with the surgery. I hope it’s a success and you’re back on your feet and out here with us in no time!! Keep following your dreams and I will do my best to keep showing you what you have to look forward to! Hi Carolyn! I’m in Northern CA, just found you, as you are living the life I would LOVE to live! My brother in TN out of the blue texted me yesterday and told me he’s been following you for 4 months and asked me if I had heard of you!? Wow. You have the gift of gab! Your videos are full of great advice, you are easy to listen to, to the point, and pertinent. Your blogs are equally entertaining and easy to read. In a nutshell, we enjoy you! I applaud your courage, your amazing spirit and steadfast determination. One suggestion: Sometimes you use initials when you speak and I’m not sure what you’re talking about. Lol. I guess it’s RV lingo that I’m not aware of yet. Something about an event in AZ that Bob was hosting? Thank you for inspiring those of us still bound by jobs, noise and BS and please keep bringing us along as you follow your freedom! I am blown away by the comment about your brother texting you about me.. holy cow! This rapid growth of my channel has caught me off guard a little bit – I love knowing that so many people are moved by my life and my work.. WOW. Thank you for telling me this. AND for ALL the kind things you wrote. Again, just WOW. I do hope to see you out here someday!! Would be awesome! Thank you for the suggestion about the acronyms, a few have questioned me. I will try to do better at explaining myself. Thank you for the great advice. Wow, can’t believe I didn’t explain the RTR!! Silly me: It stands for Rubber Tramp Rendezvous and it’s a gathering of Van Dwellers, RVers and those who want to be. It’s in Quartzsite AZ next month. You can visit his website at CheapRVLiving.com for info. My husband and I are heading out for a month of camping next week and I really appreciated your “How Not to Freeze” video. It never occurred to me to cover the doors, vent hatch and windows like you do. I hung a curtain to cover the front door and cut reflective sun shades to fit each window. I simply put Velcro tabs on them for easy installation. We’re leaving Colorado and heading south to Arizona but until we hit warm weather we’ll be snug as a bug thanks to you. You are currently my idol. I am not very familiar with social media. It scares me because I don’t really understand what is private and or secure or not. I had raised and bred horses for my passion, full time Midwest crop farmer while working in a hospital laboratory. I left my husband (compatible) two years ago. I quite my job as a Lab Tech of 20 years in Feb 2016) traveled in my car for 38 days and sailed the Bahamas for 4 days with my sister. I Have been divorced since last April. Bought a Motohome April 16, 2016 and began living in it April 18, 2016. It took all summer to Sort out many of the details of life that I didn’t hit the road “out” until Oct 8, 2016. I have So many questions and I have learned SO much from people on u tube. I Really like and appreciate your information! I like that your presentations are interesting, pertinent, helpful, REAL, and not too long. I would much rather spend a little time more frequently than be interrupted or have to put it off until later. Later never happens. Well, not to bore you with my ramblings ( just set a little background?). My biggest problem is…. I spend more time looking on line for places to boondock than actually getting out there. 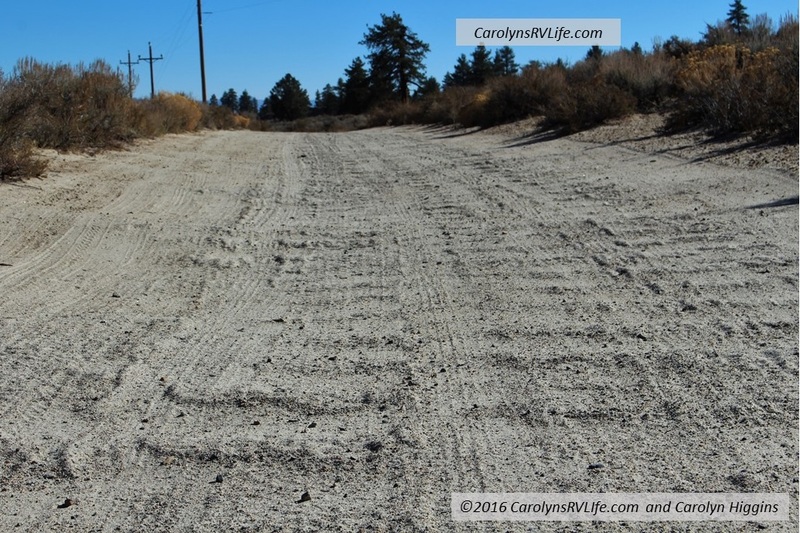 I can’t get over my fear of breaking the “RULES” I have found national forests and I have a national forest pass. Many offer camping and dispersed camping but if I inquire there are fees, reservations and mostly booked. I need some resources I feel I can trust finding appropriate BLM information. I feel what I have found so far is to vague. I am also rather tied to the SanDiego area for the next 4-12? Weeks. I resorted to putting my home in storage and living with my daughter while I am confined to this area. I understand you are busy, time can be hard to manage even when you think you have simplified I don’t really expect a reply at this time. I will check out your links in the mean time and I’ll keep watching. Travel free, safe, in the moment and inspired. I should hope that one day we may meet. Recently watched your “How not to freeze” video. Kool.. oops bad pun. Just a couple comments. A friend tried to tell me once that most RV’s are made for mild climates. 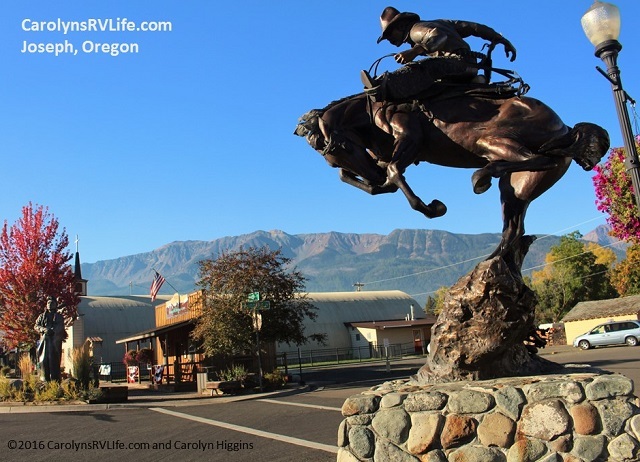 You need to search out for an RV manufacturer that builds a well insulated product…. Honestly, I don’t know if there is any truth in that at all. The other comment was that you might want to look into replacing your RV plumbing with pex. If I understand it correctly, pex can freeze and not burst. I think they are building new RV’s with pex, but don’t take my word for it. I’ve been wrong before. Hi, I just wanted to say, YOU GO GIRL! I love watching your adventures and you are an inspiration. I am planning to do exactly what you are and for the exact reasons. Don’t let the haters get you down. Keep up the Great work!